Entry to the Summer Exhibition 2019 has closed. If you would like a chance to see your work displayed in the world’s largest open-submission exhibition, this is the place to get started. Just follow our three simple steps. Submitted in 2018? You should already have a Summer Exhibition account. Login to your account, or request a new password if you’ve forgotten. First time entrant? Register now and we’ll send you a link to your new account. You can enter one or two works, for a fee of £35 per work, which covers our administration costs. You can pay this online by credit or debit card. The first round of selection is made from digital images of artworks, from which the judges will shortlist up to 4,000 entries to be delivered to the Academy for the final round. 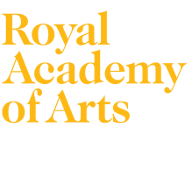 If you are successful in the first, digital round, we will notify you by email and ask you to deliver your artwork to the Royal Academy for the next round of selection. You can also check the progress of your submission using your Summer Exhibition account whenever you like. The entry fee is non-refundable. If you choose to enter only one work, it won't be possible to add a second work at a later date. You must pay your fee and submit your digital entry, including images of your artworks, by 23:59 (GMT) on 13 February 2019 at the latest. We will not accept any late submissions. Make sure you read the Terms and Conditions of Entry. The results of the first round of judging have now been sent out. If you have not yet received yours, you can check the status of your submission by logging into your artist account. If your work has been shortlisted, please deliver it to the Academy for the final round of judging. Please note, the May Day march will take place on Wednesday 1 May and as a result there may be traffic congestion around Central London. Please make sure to plan your route accordingly. Please use the Piccadilly entrance to the RA and follow signs to the West Yard. Please use the Burlington Gardens entrance to the West Yard. "The focus this year will be on artwork in all media which responds to the contemporary world. I hope to welcome back many of the artists who have been exhibiting at the Royal Academy over the last few years and look forward to presenting new artists in the exhibition." The Summer Exhibition Office is open Monday to Friday, 10am to 5pm. If you have a query regarding the submission process please see our FAQ above, or Contact Us and we will respond within three working days. £5,000 for an original work on paper in any medium, where the emphasis is clearly on drawing.